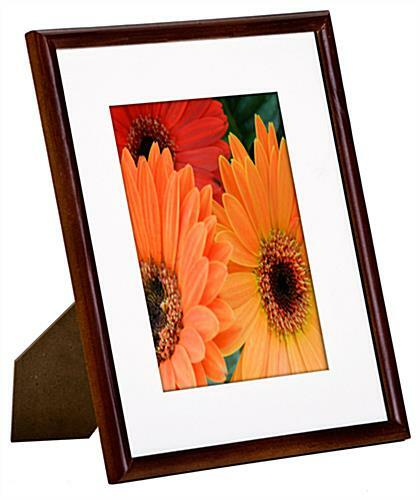 These 5 x 7 mahogany photo frames match any décor with their natural wood finish. 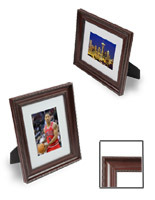 The displays have an optional white matboard that can accommodate 7 x 9 prints when removed. 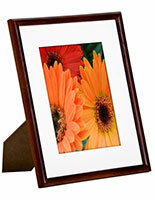 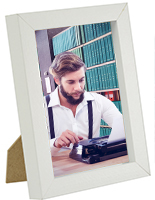 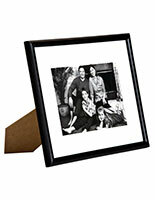 The mahogany photo frames feature a clear glass faceplate that protects inserts from dust and fingerprints. 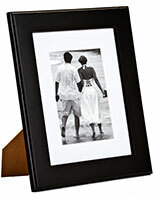 The holders have an easel backer for being placed on a desk and hooks for a wall mounted display. 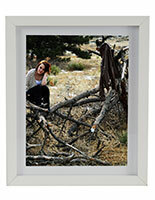 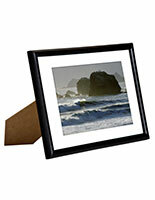 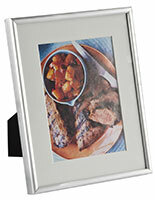 The photo frames can be placed in a landscape or portrait orientation when affixed to verical surfaces or countertops. 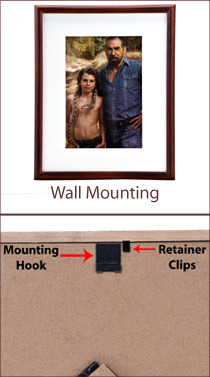 Changing inserts is easy with their sliding retainer clips and rear loading door.